Rendered Drawings Below. Now Booking for 2019! 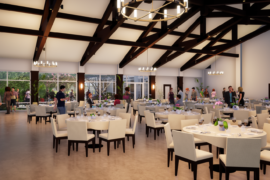 Ritz Charles has partnered with Conner Prairie to renovate and expand Eli Lilly’s historic Chinese House located on the grounds of Conner Prairie. 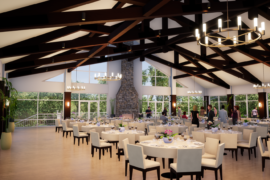 When renovations are completed in early 2019, the restored Chinese House and a new pavilion – The Bluffs at Conner Prairie – will open as a stunning event venue perched on the bluffs of the White River available for wedding ceremonies, receptions, galas and corporate retreats. 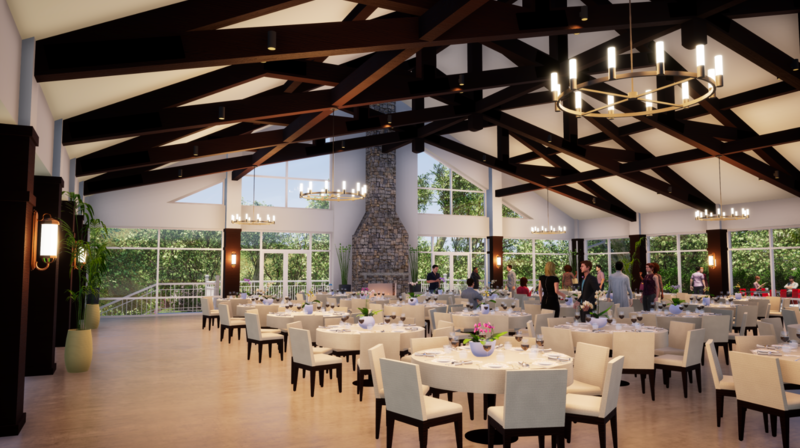 Enclosed with glass on three sides allowing for amazing views of the White River and old growth wooded grounds, this indoor venue seems to bring the outside in. Built in 1907 as a family home, the property was later acquired by Eli Lilly to be used as a family retreat. 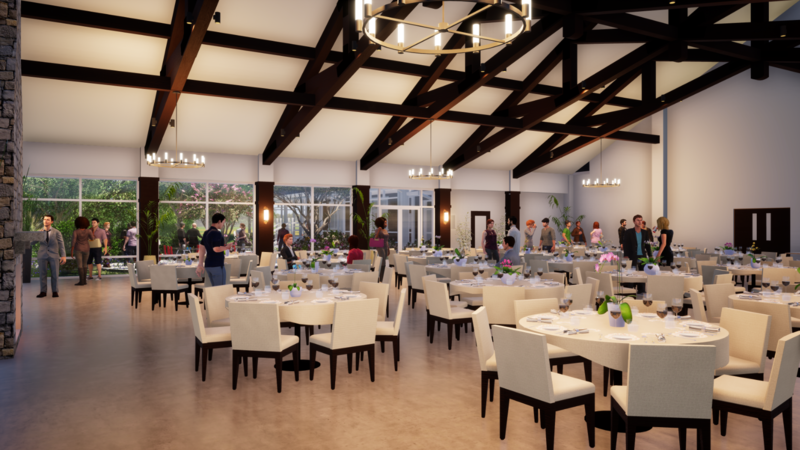 The venue will remain reflective of Lilly’s love for Chinese culture through its architectural elements and decor. Work is expected to be substantially completed by January 31, 2019. Conveniently located within two miles of several hotels. Free, ample, onsite parking included.